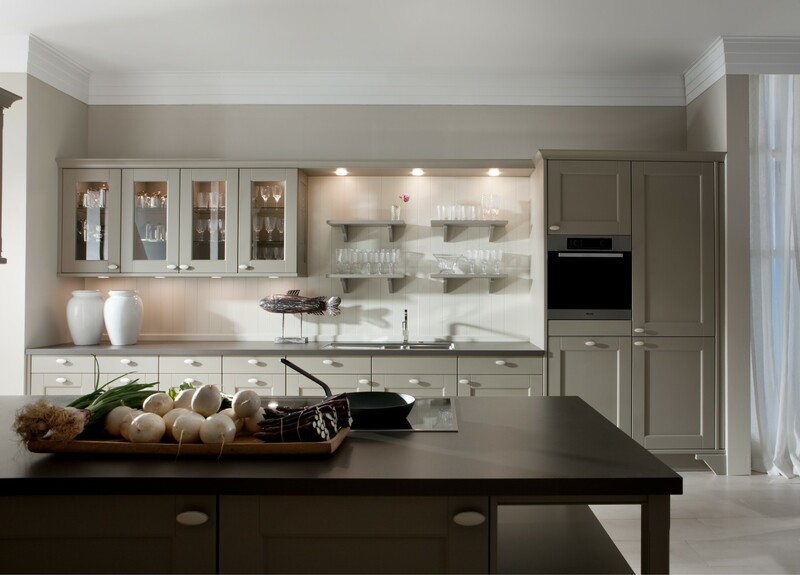 A highly bespoke kitchen design that offers an elegant and authentic aesthetic. 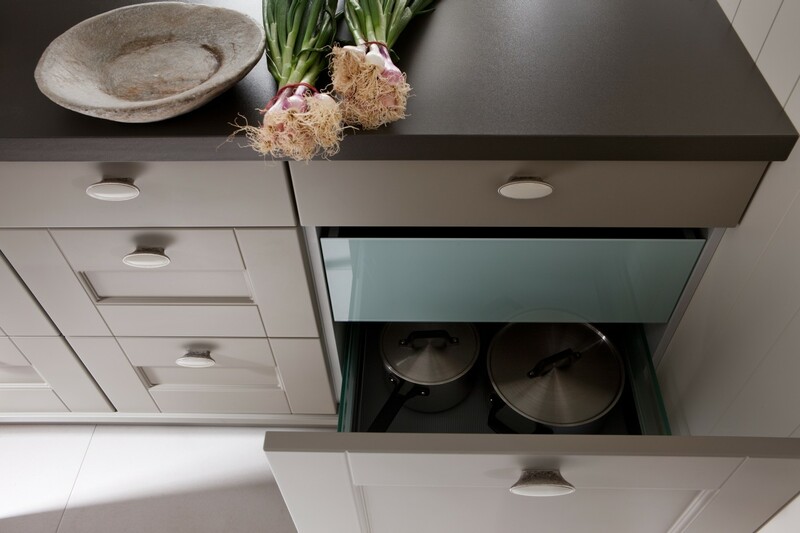 A modern touch on the traditional Shaker Style kitchen that allows a generous, open layout. 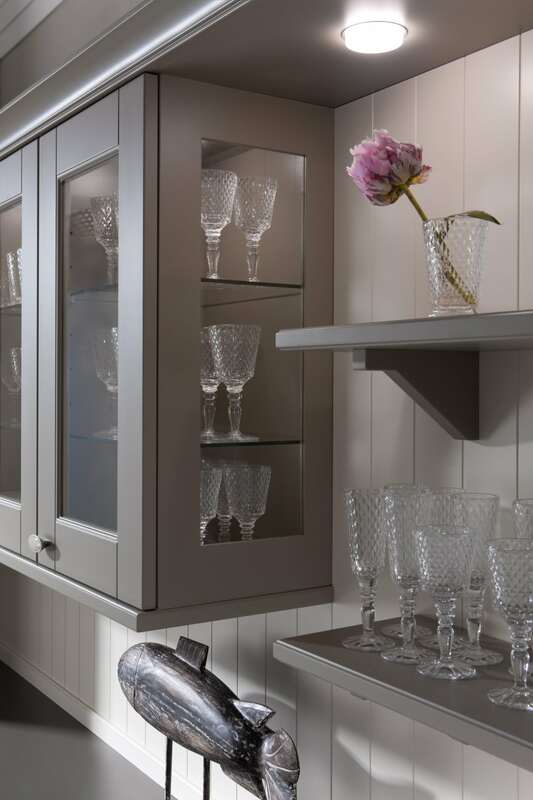 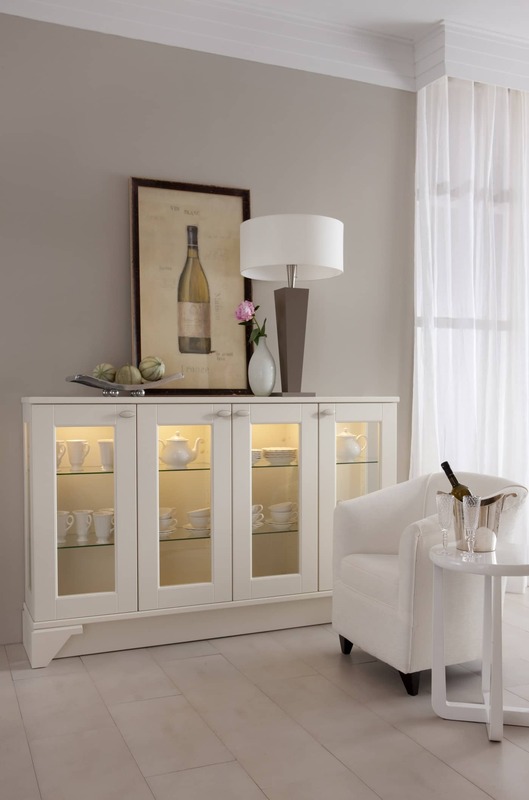 Illuminated cupboards alongside glass cabinets bring a classic quality to the kitchens ambience. 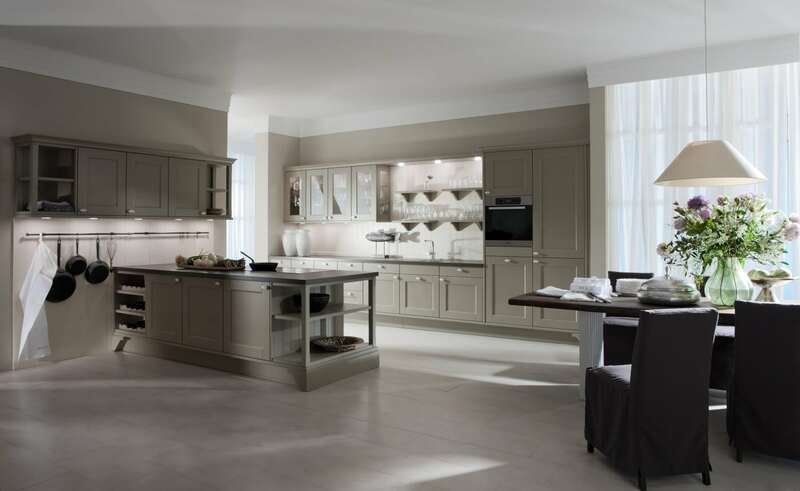 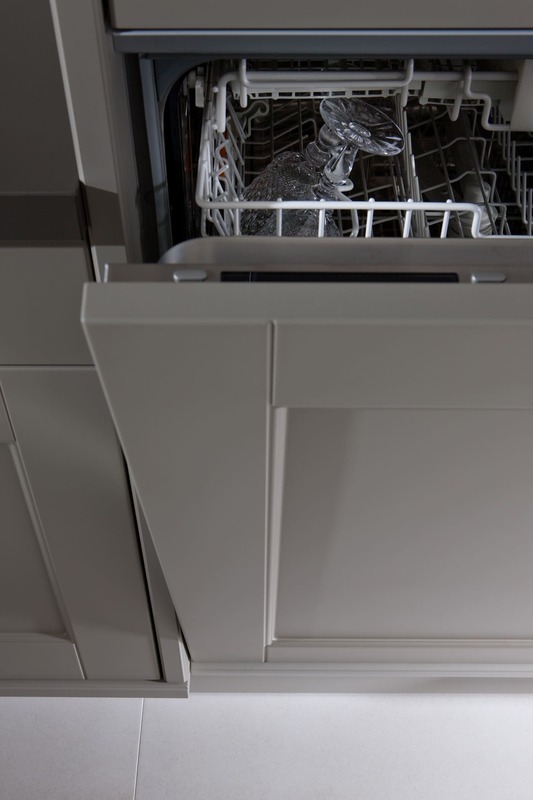 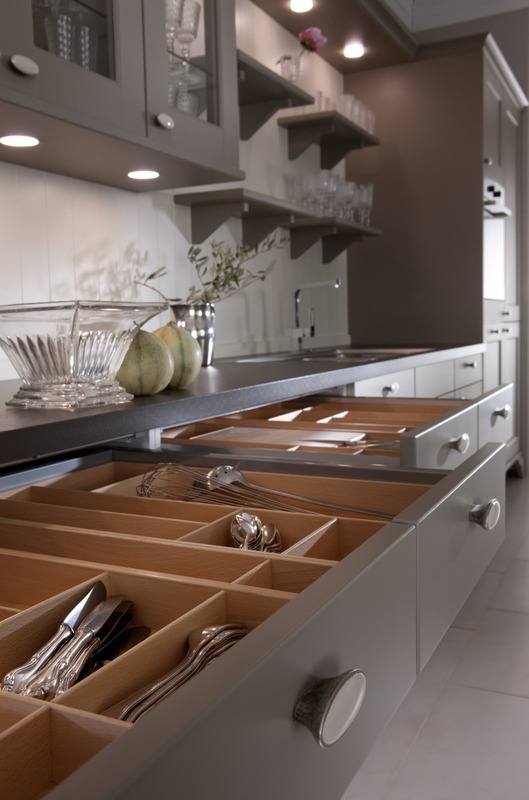 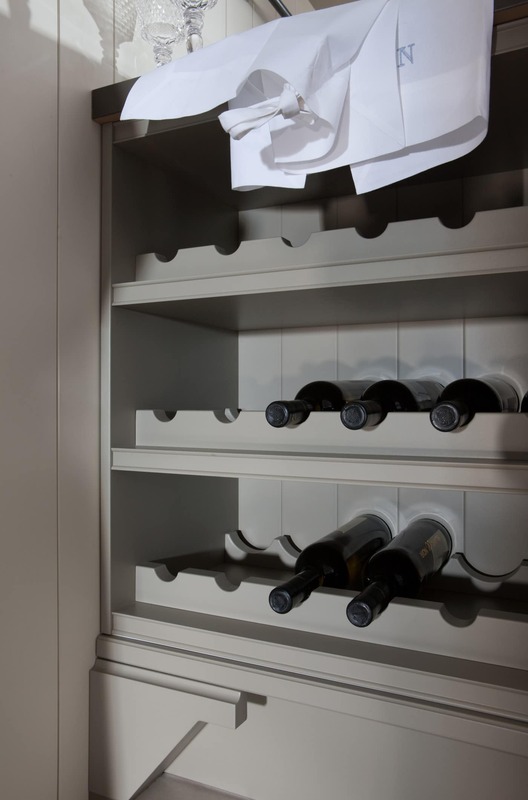 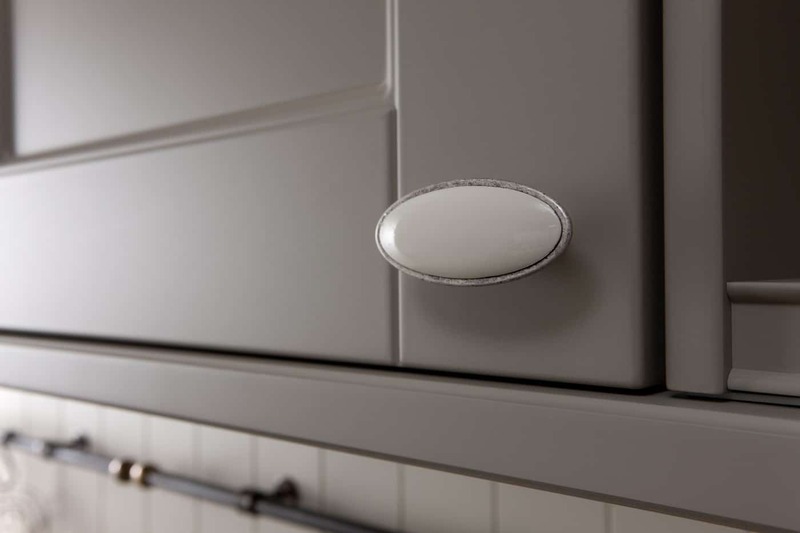 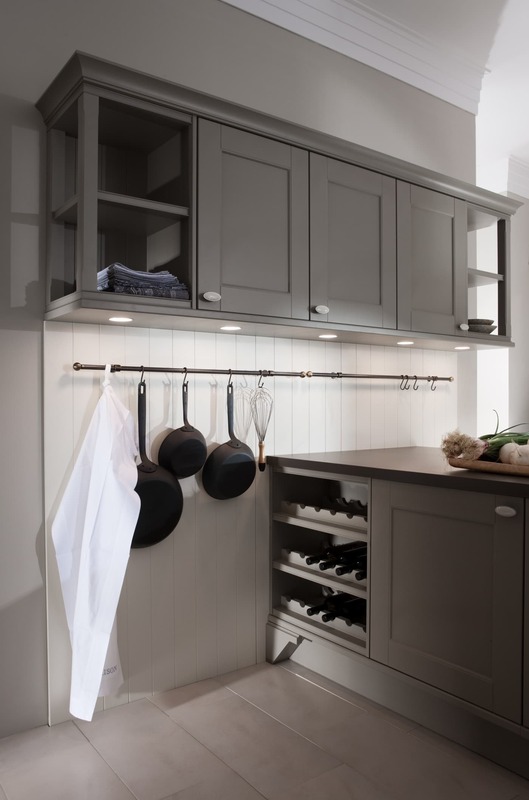 Traditionally, the kitchen comes in matt grey lacquer, but is available in almost 2000 RAL colours.